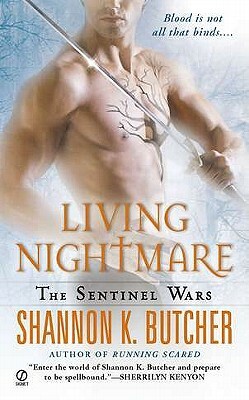 View our feature on Shannon Butcher’s Living Nightmare.For nine years, the Sentinel Nika has had one goal-to save her younger sister from the Synestryn who hold her captive. Now, the psychic bond Nika forged with her sibling on that terrible night is fading, and time is running out. But the one man who can unlock the power inside her may be the greatest danger to her.